I recently stumbled across my collection of reading pointers from my days in the classroom. I had so many and for good reason. There are lots of reading activities that you can do with a pointer. Not only that, they are fun to make and collect. 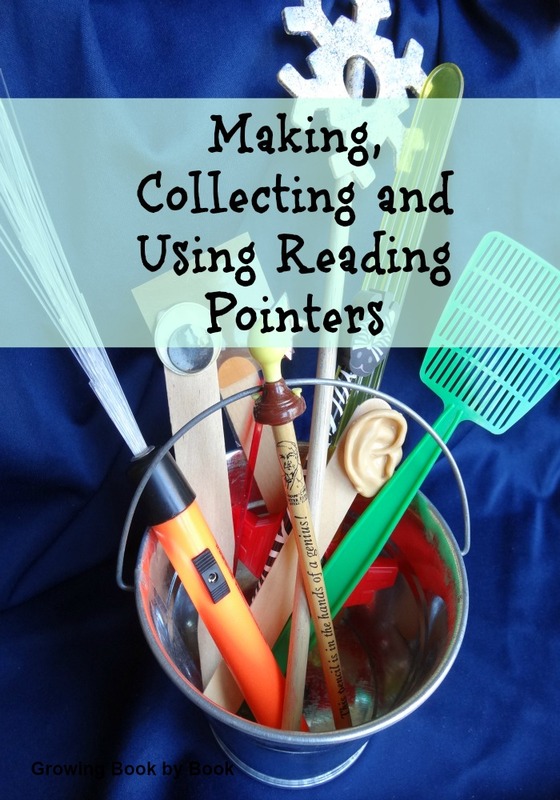 Here are some ideas for making, collecting and using pointers with your reader. Beginning readers who need to track (point to each word as they read) can use a pointer instead of their finger. Shorter pointers work best for this job. I also have written about tracking using martian fingers that you can check out here. During shared reading of a text (big book, chart, etc.) longer pointers assist in tracking too. I have used longer pointers to model, and then, let the readers use them to track as they read the same material. Here are some shared reading tips I’ve shared in the past. Use a pointer to go on a letter or word hunt around the house or classroom. Create a pointing race. Give two readers each a pointer. Call out a word on a word wall. The first person to point to the word, collects two points. If the second reader can read the word, they collect one point. Some items that make great pointers include: swizzle sticks, fancy pencils with cute eraser tops, toy swords, light up sticks and fancy straws. You can also make pointers with popsicle sticks or wooden dowels and just about anything you can think of to glue to one end. 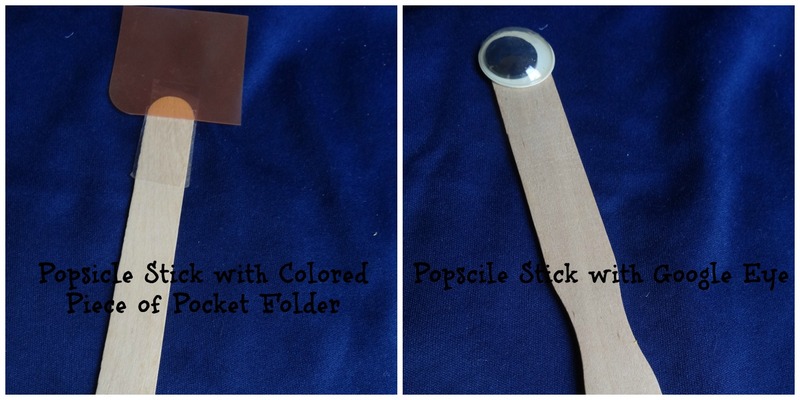 I used a large wiggly eye and a piece of colored plastic folder as tips for my pointers. I recommend using a hot glue gun for best results. I enjoyed having an assortment of holiday themed pointers to add even more variety to our activities. What other things can you think of that would make good pointers? What a wonderful collection of pointers! I have pinned them to my Learning to Read board. Thank you for sharing it with me. Thank you so much for pinning them! What a wonderful collection of pointers! I have pinned them to my Learning to Read board. Love this! I’ll be pulling this trick out of my tool box with my reluctant reader this coming school year. Great, I’m so glad you found it useful! Tracy, there are fun to make aren’t they? When I was in the classroom, I almost thought of banning glitter! 🙂 For weeks, it was all over the classroom. Thanks for all your great ideas. What a fun craft to get kids reading! I love it! Thank you! And, thanks for sharing!